Get more of the Caseta Wireless story at a workshop hosted by Hein Electric Supply and Lutron on Wednesday, March 25th. Please visit any Hein Service Center to sign up. Seagull Lighting recalls Brandywine, Laurel Leaf, New Verona, Parkview, Roslyn, and Somerton chandeliers sold from 2006-2013. Please click here for the formal notice. For more information, call 888.475.1136. January Lighter Notes . 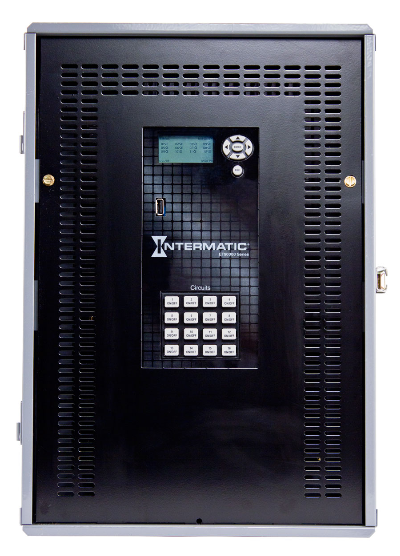 . .
Intermatic's ET90000 Time Switch is scalable, versatile, and easy to program. It functions as a 365-Day astronomic electronic time switch capable of programming up to 4,000 scheduled ON/OFF events. It will turn ON at sunrise or sunset and OFF at sunrise or sunset without the need for a photo control. In the event of a power outage, the time switch shall be able to maintain time and date information without AC or battery power for at least 100 hours. Easily copy programming to other time switches or for backup purposes via USB. Please view a product brochure here or a product specification sheet here. If you are interested in learning more about this product, or to set up a demo training, please contact your Hein Electric Supply sales representative.